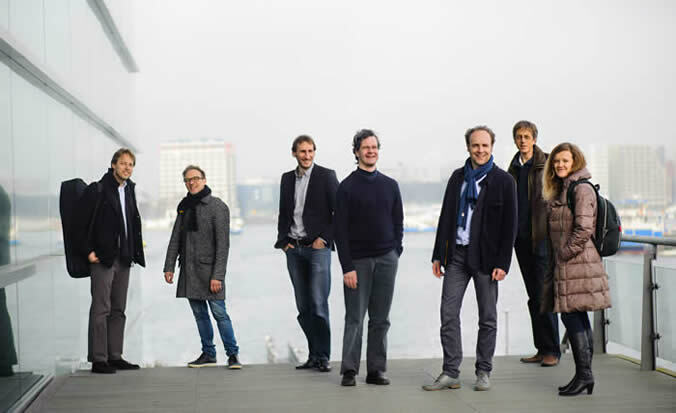 Ensemble SCALA is the new ensemble for microtonal music in The Netherlands which is founded by the Huygens-Fokker Foundation (centre for microtonal music in Amsterdam) to experience microtonality within a spectrum (scala) of tone colors. Special is the fact that the famous Fokker-organ is become a part of the ensemble. The instrumentation of Ensemble SCALA is flute, clarinet, viola, microtonal guitar, Fokker-organ, keyboards/Carrillo-piano and percussion. The musicians are all specialists in microtonal music who together explore the borders of the colourful possibilities of microtonality. The ensemble focus on major microtonal systems/tunings, like the 31-tone system, the 24-tone system (or quarter-tone system), the 19-tone system and systems of just intonation, with an accent on the first system mentioned. The name of the ensemble is based on the eponymous software programme Scala for microtonal music, by Manuel Op de Coul, that has an international reputation. 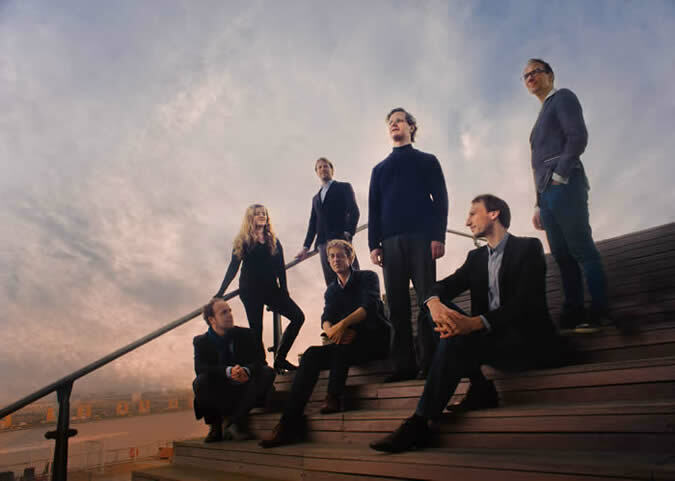 Ensemble SCALA has set itself a purpose to play a spectrum of new sounds, whereby new work alongside existing work from the 16th and 17th centuries will be performed. For example, the repertoire is consisting of the works of a.o. Giacinto Scelsi, Jan Pieterszoon Sweelinck, Peter Adriaansz, Nicola Vicentino, Steffen Krebber, Charles Delusse, Ned McGowan, Joel Mandelbaum, Sander Germanus, Francois Grabriel Madden, René Samson, etc. The necessity to establish Ensemble SCALA arose from the need to spread knowledge about microtonality in the Netherlands and abroad, whereby the main figurehead of Huygens-Fokker Foundation, the unique Fokker-organ (a 31-tone organ from 1691 based on an invention of the famous physicist Christiaan Huygens), could be taken while travelling. Since 2009 the foundation has the possession of a portable Fokker organ keyboard. This keyboard (earlier called the ‘mute keyboard’) has been built in 1963 just to study, but is fully equipped with MIDI technology in 2009. This can be connected to both the large acoustic Fokker-organ as a computer/laptop that produces samples of this 31-tone organ. 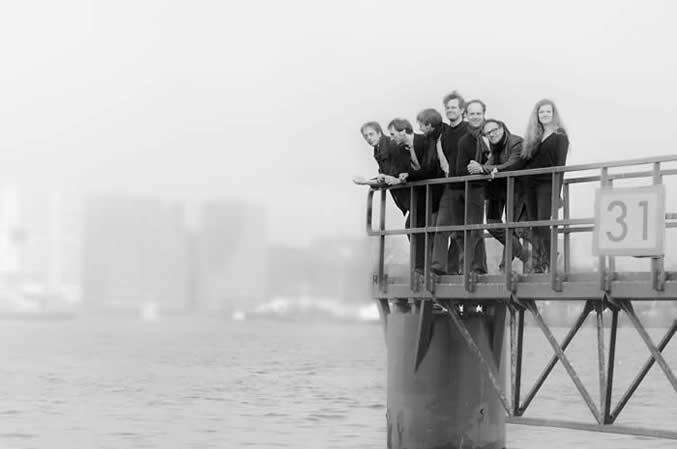 This instrument allows Ensemble SCALA to to give concerts outside the BAM Hall of the Muziekgebouw aan 't IJ in Amsterdam (where the 16-meter wide Fokker-organ is installed in 2009). The portable / digital Fokker-organ is a strong and solid basis for the other instruments, which in turn provide an acoustic context. Concerts with the portable Fokker-organ keyboard will therefore always take place in conjunction with the ensemble, as just an unaccompanied digital Fokker-organ is not desirable on stage. There is also an advantage to the use of the digital Fokker-organ keyboard. There can be programmed other tuning systems under the keys of the manual, for example the 19-tone or 24-tone tuning, two proven tuning systems. In this way, various tunings can be played on the instrument, so a broad knowledge of the microtonality can be propagated through the concerts by Ensemble SCALA. The ensemble gave performes in Holland as well as abroad. 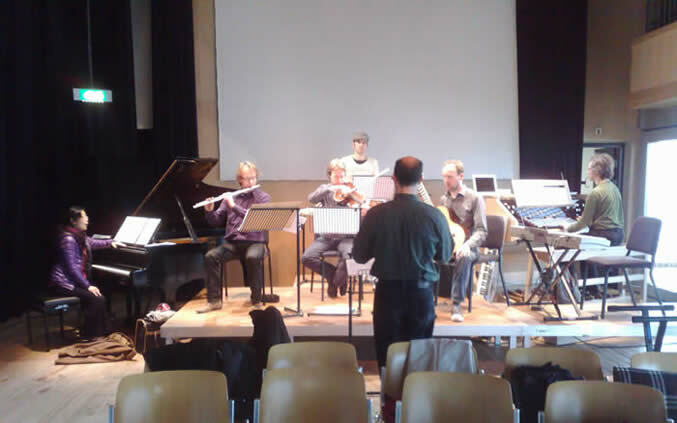 In June 2011 Ensemble Scala was the guest-ensemble of the congress of microtonality in Stuttgart, Germany.